make a layout just like this one. 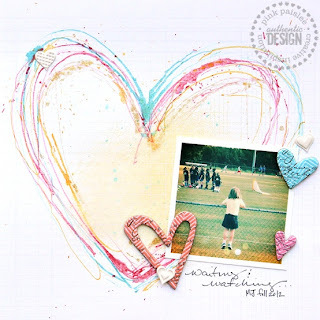 As you can see, my heart was nothing like the heart on the pinterest layout. use the paper for a layout. to cut out the strips from the remaining paper. While it isn't even close to the Pinterest layout, it turned out cute. I mean seriously, can it be that hard? Have you checked out my giveaway going on now? 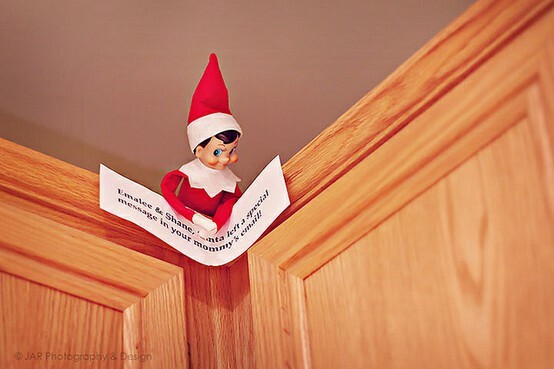 As I shared yesterday, I am in love with Elf on a Shelf. at our local grocery store and I came across Randall Reindeer. It's the same concept as the popular Elf on a Shelf and your kids will love this new tradition. One winner will win this cute 9" plush Randall Reindeer plush, hardcover book and notecards. I'm going to make this giveaway really easy. Unfortunately this is only for the US and I'll announce the winner Nov 1st. If you'd like a second chance, post this giveaway on your blog or Facebook page. It's been just a little over a month that I had just over 5,000 pins on Pinterest. but just in case you haven't heard or seen what fun this can be, I created a Pinterest board. Growing up, weren't you curious how Santa Claus would know if you were naughty or nice? And how many years did you hear, "you better be nice, Santa is watching you!" Santa has allowed his biggest secret to be revealed in The Elf on the Shelf. Their Elf reports to Santa on their behavior at the North Pole each night. * The children cannot touch the elf or he will lose his magic. * The elf can listen to what the children tell him, but cannot talk back, that’s Santa’s law. * The elf flies back to the North Pole each night and tells Santa what he has seen – when he comes back he goes to a new spot in the house. * The kids start searching for the elf immediately when they wake up! 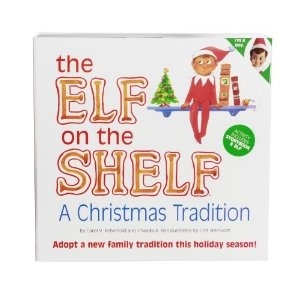 * Your children will ask you every night from Halloween to Thanksgiving when the elf is coming back! * You have to remember to move the elf every night! Sometimes this is a bit of a challenge for us. 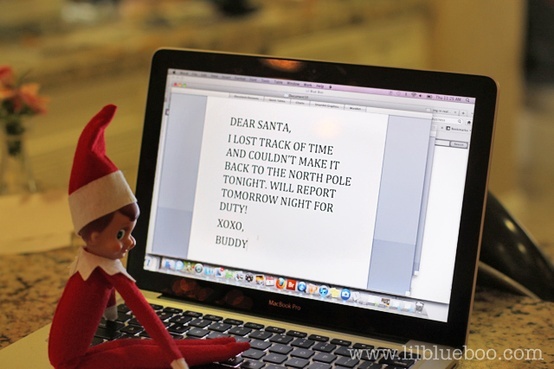 There's a website for registering your Elf on the Shelf and also on Facebook as well as Pinterest. I think that parents might have more fun doing this than the kids finding the elf each morning, don't you? 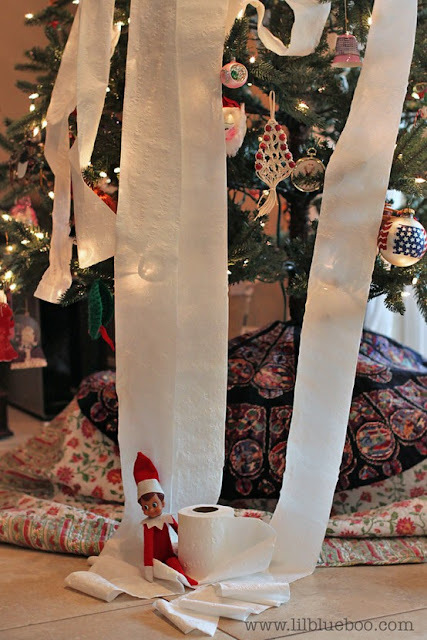 Can't you just hear your kids squeal when they notice that the elf teepeed the Christmas tree? 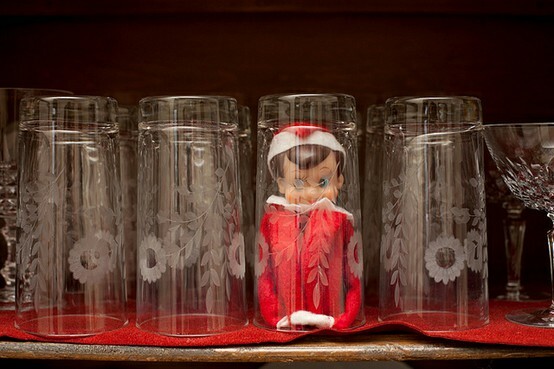 What a fun suprise to open up the kitchen cupboard and see the elf hiding under a glass! 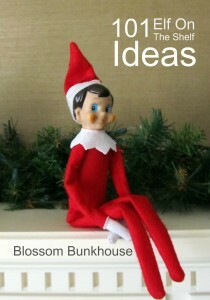 Much of the magic of The Elf on the Shelf is to think up fun ways to place him/her each night. 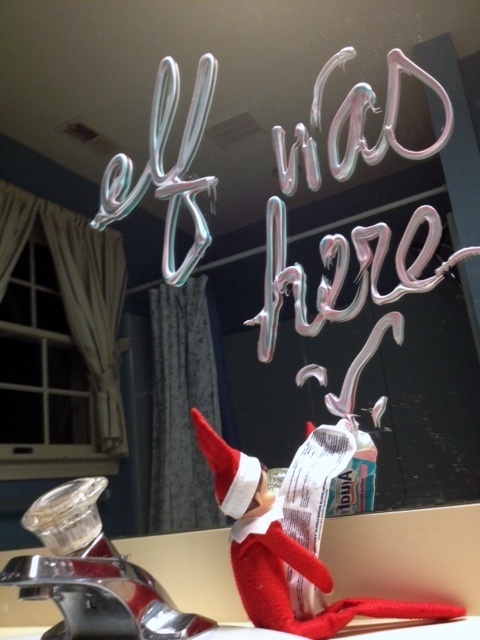 There are so many clever places to place the elf for your children to find each morning! shares 101 other ideas for you! Stay tune for tomorrow, my giveaway pertains to my latest pinterest board! Linking to these parties, thanks for stopping by today! Well last weeks menu wasn't exactly followed as planned. One night we had breakfast instead of pizza and ended up not making the taco pasta bake. 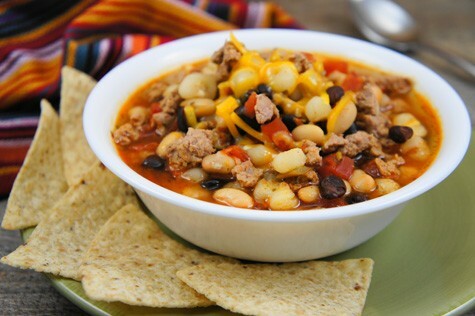 And come to think of it, we didn't have the crockpot chicken and dumplings either. So grocery shopping should be easier and hopefully less money spent. Last week ended up being one of those weeks that not much got done around here. This week, I've got a list of projects that I need to get done. I'm going to have a giveaway later this week, something fun!! 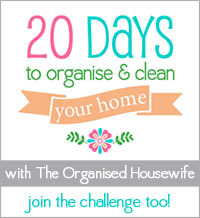 The challenge for day eight was to clean either a kids toy room, craft room, spare room or the family room. As many of you know, part of the fun in crafting is buying craft supplies and it doesn't take long before things begin to overflow. I picked the office desk as a place that I wanted to organize and clean for this challenge. I keep the laptop in the craft room the majority of the time. While the workspace was okay, I wanted to put together some binders for easy referencing. Computers are great for information but sometimes I like to refer to paper and not go through the bother of logging on the computer. But as you can see, there wasn't much room for anything more. I made a few trips to Staples to make my organizing workspace work better. This organizer is from the Martha Stewart Home Office line. There's so much being held in this space now. I even organized the drawer with 2 plastic organizers from Target. Everything has a place and makes it easy to find items when needed. We can't have a workspace without having something special nearby. My youngest daughter bought this cute kimmidoll for me for Mothers Day. I'm not sure where this binder came from, if it was one of my kids or if I got it at a yard sale but it holds all the print outs from 20 Days To Organise and Clean Your Home Challenge as well as some other organizing tips I found off Pinterest. This is one printout I need to spend some time reviewing. I'll show you in another post how I organized our file cabinet using this printout. I used these printouts each time I reorganized a space and it made the job easier to decide where it should go - one of the four, none of that well I might need it..it was one of the four options. Tomorrow I'll show you my Day 9 and 10 projects!